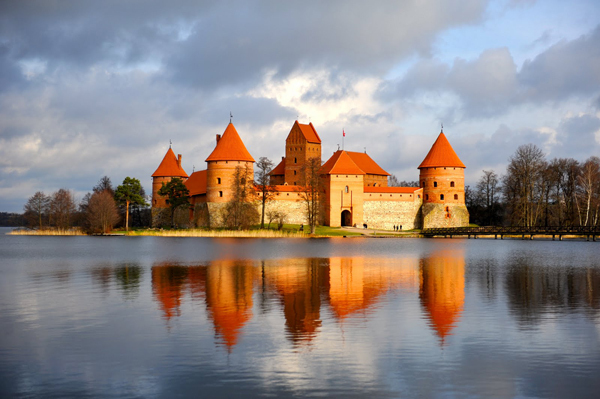 "Blacksmith Liberty & Entrepreneurship Camp" will be held in Trakai (Lithuania) from August 6 - 10, 2015. For four days each summer at a beautiful lakeside resort nestled in the Lithuanian countryside, students and instructors explore the concepts of liberty, entrepreneurship and investing. The days are filled with dynamic, interactive lectures, small group workshops, presentations, debates, and practical exercises. For students between the age of 18 and 25. Participants who are accepted will be accommodated in a wonderful lakeside resort.There is no fee to attend the camp. The foundation Sovereing Academy handles everything — bus transport to the camp, lodging, food, etc. Record a video of yourself, keeping what you've read above in mind. Upload your video to the Internet (if you want to password protect it, or make it private, that's fine). Along with the link, please tell us your full name, age, country of citizenship(s), and country of residence (we need this information for visa purposes). The application deadline is March 31, 2015. You will be notified whether or not you were accepted by May 15, 2015. This gives you 3-months’ notice, which should be plenty of time to arrange your travel.